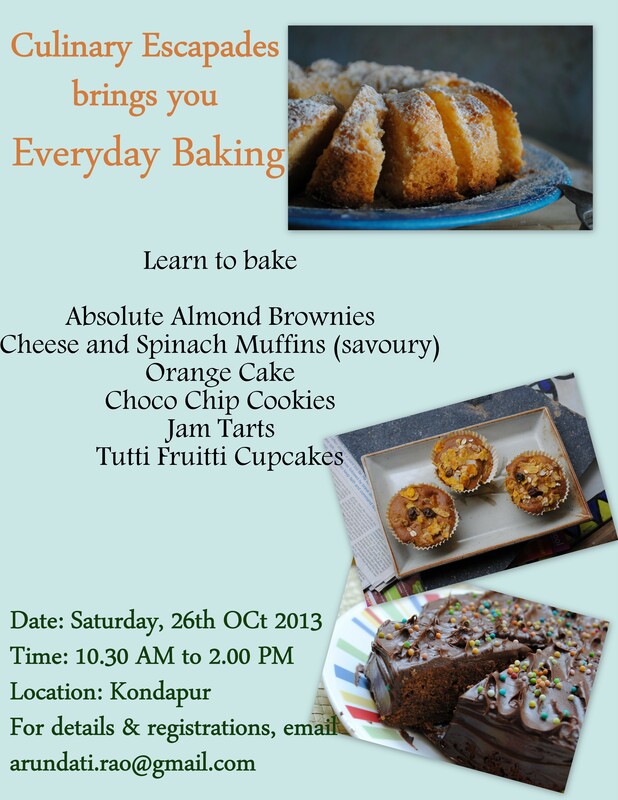 Announcing my next baking class scheduled for 26th Oct 2013 at Hyderabad. Registrations are now open. Email me for details and to register. Hi I would like to attend the classes . Could i know the details like fee and other needed to attend the class. Hi Elizabeth, do check your email! even I want to join man!